When optimistic seventeen-year-old orphan Deirdre travels to Neo-London, a city created after a near-apocalyptic attack by Unseelie faeries, she is caught in the tension between faeries and the Iron Guard, a militarized faction created to keep the peace. 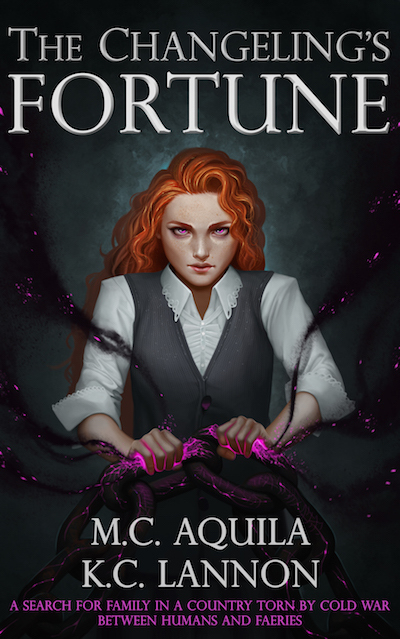 After a banshee tells her fortune, Deirdre develops destructive magical abilities but quickly discovers she cannot control them. These powers soon make her a target of Alan Callaghan, an extreme anti-faery general. His sons, Iain and James, cross paths with Deirdre. Iain is a rookie soldier in the Iron Guard trying to atone for past mistakes and keep his younger brother from harm. James, a fourteen-year-old aspiring scholar fascinated by faeries, becomes fast friends with Deirdre. They soon plot to escape the barriers and lies of the city to find answers about her magic and James’s disappeared mother. However, when Deirdre is framed for a treasonous crime, their search for answers soon becomes a quest for freedom. Beyond the iron walls of Neo-London that protect the city from the Winter Court lies a landscape of unchecked magic, faeries, and monsters. 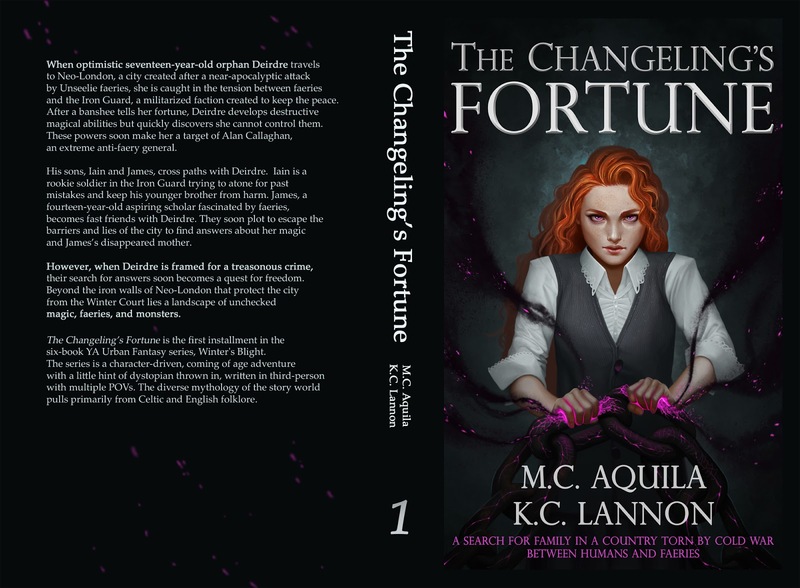 The Changeling’s Fortune is the first installment in the six-book YA Urban Fantasy series, Winter’s Blight. 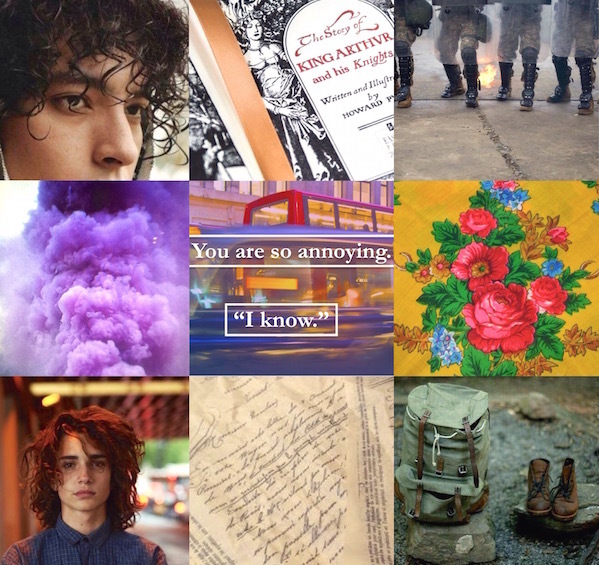 The series is a character-driven, coming of age adventure with a little hint of dystopian thrown in, written in third-person with multiple POVs. The diverse mythology of the story world pulls primarily from Celtic and English folklore. 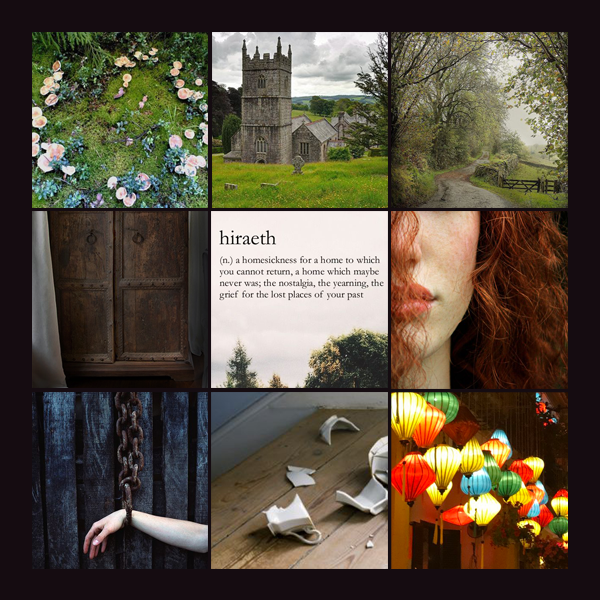 The flawed but strong heroine of the novel, Deirdre, is a faery growing up an orphan in the human world, her background unknown and her magic apparently non-existent. Though that all begins to change as her magic rekindles, out of control, completely overturning her life and her world. James is a rebellious, albeit awkward bookworm fascinated by faeries and eager to leave his life in the city behind. Iain is a rookie soldier in the Iron Guard. Motivated by his need to protect his little brother and to atone for past mistakes, Iain attempts to become the soldier his father has always wanted him to be. Someone is pulling Iain’s strings, and if he’s not careful, he could end up on the wrong side. K.C. 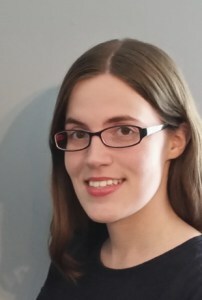 Lannon graduated from the University of South Carolina with a Bachelor of Arts degree in English, where she primarily studied short stories, but always aspired to write YA novels. Although she grew up moving all over the U.S., she currently resides in South Carolina. 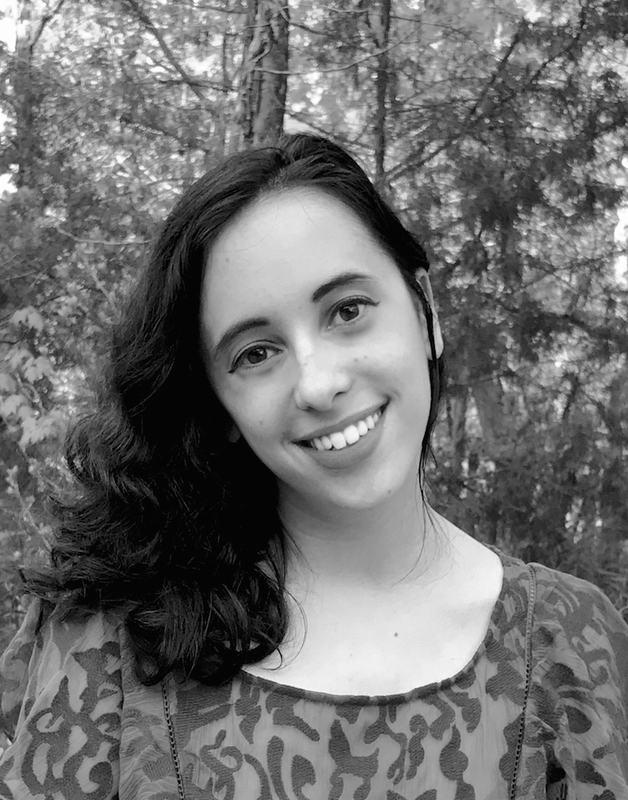 After realizing she probably would never find a fantasy adventure in the real world (though she’s still looking), she decided to do the next best thing: write her own. M. C. Aquila graduated from Winthrop University with a degree in English. After studying and experimenting in fiction, non-fiction, and poetry, she happily discovered that fiction writing was her one true love. She grew up in Pittsburgh, PA but currently resides in South Carolina, loved for its beaches and sweet Southern matriarchs and feared for its humid summers and college football rivalries (though some consider this a plus). She now aspires to be a prolific independent author. When she is not co-writing the Winter’s Blight series, she tutors both native speakers and ESL students in English, giving her a renewed love for the strange wonderfulness of the language. A born and bred nerd, she is forever a wannabe artist who spends more time working on a fancomic (Triforce of Power) based on the Legend of Zelda video games than she does actually playing any games. She also loves attempting to bake, searching for the best red wine in existence, and reading anything with a villain she loves to hate.